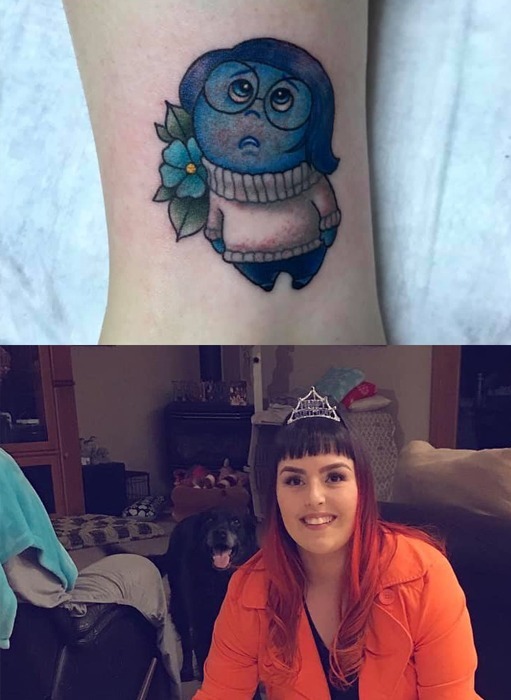 I got sadness from Pixar’s Inside Out movie tattooed on me. Why? Because over the years I’ve conditioned myself to not feel sadness or accept sadness as an emotion. Because feeling sadness has caused me such trauma, loss & emptiness. I put up walls and retreat behind them when anything scary and sad happens. Because that’s what I’ve always done and I’m trying to make myself feel emotions and not bottle them up anymore. It’s easier said then done sometimes though.